Victories are not always simple in Family Law cases—but Staff Attorney Audrey Bergeson is always up for the challenge. When I joined AVLF last year, I was excited to represent those who could not otherwise afford an attorney. I’m AVLF’s Family Law Staff Attorney, so I help survivors of intimate partner abuse with their family law legal needs, such as custody and divorce. I am part of the Safe and Stable Families team, which works together to connect survivors with everything they need—from a protective order to a volunteer attorney and everything in between—so they can break free from the cycle of abuse. Expanding clients’ access to justice, both through direct client representation and through pro bono placement of family law cases, drew me to the position. However, parties in a divorce, custody, or child support dispute are often in difficult situations, with few easy or clear-cut solutions. I often say that in family law, there are no winners. Don’t get me wrong—there are certainly victories: obtaining payment for past-due child support, helping a father establish parental rights, or successfully arguing a motion. But the complete picture is much more complex, and there is often not a cut-and-dry solution or “win”. Because our method is focused on the process—on being there for whatever our clients need, legal or otherwise—we’re able to make a sincere difference, even when a case feels like an uphill battle. Accordingly, I’ve been pleased that I have been encouraged to jump in to cases, not because there is a high likelihood of “winning,” but because my presence in the case will put the client on equal footing with their abuser. Intimate partner abuse comes in many forms. Often survivors have been cut off from resources and support. Perhaps the survivor moved to Georgia with the abuser, away from family and friends and a stable job. Perhaps the survivor, in fleeing abuse, found themselves without stable housing. Perhaps the survivor is dealing with complex mental health issues, resulting from or exacerbated by the abuse. Such a client may not have a strong path to “victory” in a custody case. And yet we see value in the fight. We see value in giving this client the best possible representation to ensure the best possible outcome, given the situation. We increasingly live in a data-driven world, both in law and in everyday life. How much did you make? How many views did an Instagram post get? In other words, what do you have to show for your efforts? It’s easy to let these attitudes seep into legal representation. How big was the damages award? Did the court order attorney’s fees? At AVLF, however, we are fundamentally driven by justice. We do everything in our power to make sure our clients can navigate the legal system with dignity. Because our method is focused on the process—on being there for whatever our clients need, legal or otherwise—we’re able to make a sincere difference, even when a case feels like an uphill battle. We make sure our clients feel respected and heard. For me, it’s about making deeper human connections in our community and helping survivors find their strength. Click here to learn more about our Family Law Program. Audrey Bergeson is the Staff Attorney for the Family Law Program. The Family Law Program serves survivors of domestic violence, who have been assisted by the Safe Families Office, with their long-term family law legal needs. As the Family Law Program Staff Attorney, Audrey manages the program, provides direct client representation, and pairs clients with experienced family law attorney volunteers. Prior to joining AVLF, Audrey practiced family law as an associate with Smith & Lake, LLC. Before practicing with Smith & Lake, Audrey was the 2013-2015 Hunton & Williams (now Hunton, Andrews, Kurth) Pro Bono Fellow, where she provided pro bono legal services to clients and served on the pro bono committee. 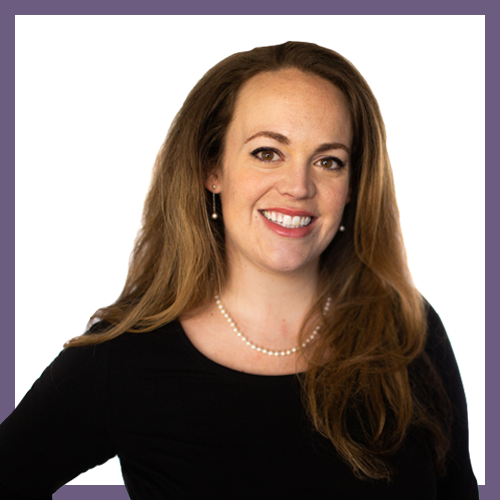 Audrey is an honors graduate of Emory University School of Law, where she received the Custer Tuggle Award of Excellence in Family Law, and she received her B.A. with honors from the University of Southern California Annenberg School for Communication and Journalism. Audrey is a member of the Atlanta Bar Association, DeKalb Bar Association, Association of Family and Conciliation Courts, and Stonewall Bar Association. Audrey is the Co-Editor of the YLD Review, a publication of the State Bar of Georgia Young Lawyers Division (YLD). She is a member of the YLD Executive Committee, the 2018 recipient of the YLD Service to the Profession Award, and the 2017 recipient of the YLD Service to the Community Award. Audrey was recently appointed by the State Bar President to the State Bar’s Committee on Children and the Courts.